Turns out the brand is new to me, but the factory isn’t. The brand was born from a “love of art and story” but blended and created in Skip Martin and Michael Rosales’ Fabrica de Tabacos NicaSueño in Estelí, Nicaragua. Yes, these cigar come from the same place as the celebrated CroMagnon, Intemperance, and Neanderthal blends (among others). This particular cigar uses Nicaraguan and Dominican fillers, Ecuadorian Habano Ligero binder, and a Pennsylvania Broadleaf wrapper. The artwork for Fourth Prime is simple and stark. 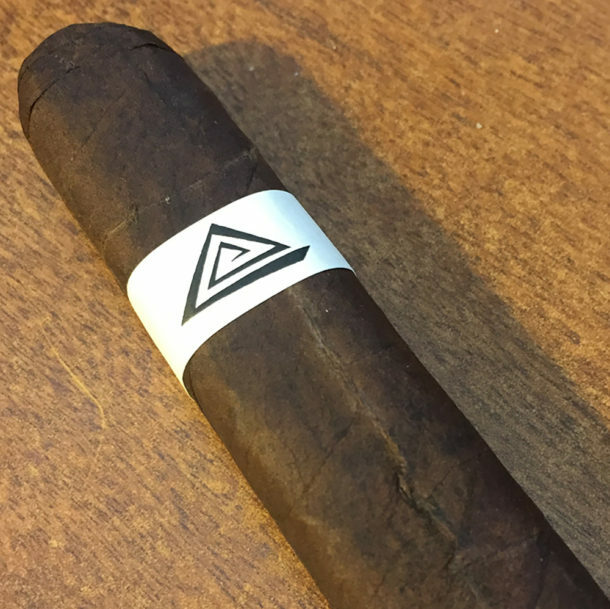 There is a triangle in a concentrically design…appropriately for a cigar celebrating the number 7, there are 7 straight lines making up the design. 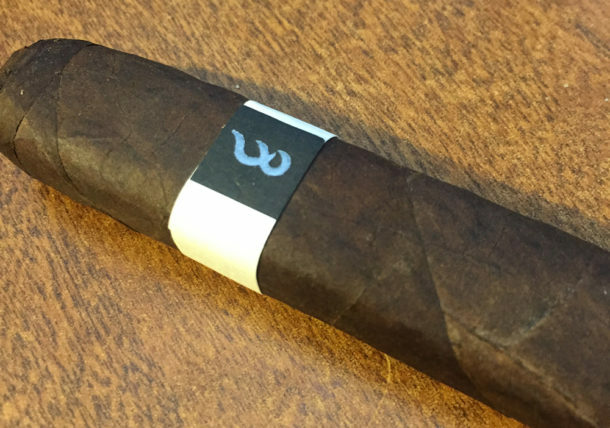 The back of the band features the Fable Cigars logo…which doesn’t look much like an “F” and “C” unless you know what it is and are trying hard. The wrapper leaf was a dark chocolate brown color with a nice combination of oily and velvety feel under the fingers. The veins in this wrapper leaf looked almost as large as some Connecticut Broadleaf tobacco that I’ve seen…which is significantly more veiny than most Pennsylvania-grown leaf. The wrapper had a mix of semi-sweet chocolate and earthy aromas; the foot had richer earthiness with a bit of graham and cocoa powder in the mix. The cold draw on the Fourth Prime was very good and it featured a flavor mix of cocoa powder, coffee, graham, nuts, and pepper spice…none of which was overpowering, but all of which was there. Once I got the Fourth Prime fired up, I got a medium-bodied earthy core flavor, surrounded by notes of semi-sweet chocolate, mild coffee and cedar. There was some pepper on the nose and a little built up at the back of the palate as I puffed along, but overall, I didn’t find it a very spicy cigar. Pennsylvania Broadleaf typically isn’t as well-received on my palate as the Connecticut-grown version, but this had more sweetness and up-front flavor than PA-grown leaves I’ve smoked in the past. Longer fermentation, perhaps? Don’t know, but I’m curious. As I burned past the first third and into the second, I started to get a spicy tingle on the lips and the overall flavor profile was still very earthy, but with plenty of sweetness to balance it. Woody and coffee notes were more muted at this point, but still an important part of the whole, while the Dominican leaf in the mix provided a creaminess that you don’t often see with heavily Nicaraguan blends. The last third had more sweetness and a little less pepper. The creamier notes fused with the coffee flavor creating a really nice combination and earthiness was more in the background. I had a great draw, very even burn line with no touch-ups, and a solid ash that never flaked off on me. The price point on this is in the moderately high range, but it’s a very good cigar so I’d say it’s worth it. My introduction to Fable Cigars and the Fourth Prime was quite pleasing. I found the blend to be unique enough that it stood out for me and balanced enough that I was never bored. It isn’t my favorite blend to come out of Nica Sueña, but it is among the top two cigars I’ve smoked that use a Pennsylvania Broadleaf wrapper. I honestly thought I’d never had a PA Broadleaf stick that would make me want more, but this stick proved that it can be an excellent wrapper leaf. I hope Fable has many more stories to tell.